Don't have time for a shower? Have a quickie! This dry shampoo is perfect for those with light hair colors and will leave no chalky residue. Formulated with unique rice starch formula, this spray absorbs unwanted oils while cleansing and conditioning your locks giving you that volume you're craving! Hair Type & Condition: For all hair types. Perfect for third or fourth day hair. Shake well. Spray 6-8 inches from dry hair. Let dry, massage and brush out. Design.ME Quickie.ME Dry Shampoo Spray All Brunette & Dark TonesDon't have time for a shower? Have a quickie! This dry shampoo is perfect for those with light hair colors and will leave no chalky residue. Formulated with unique rice starch formula, this spray absorbs unwanted oils while cleansing and conditioning your locks giving you that volume you're craving! Size: 339 mlHair Type & Condition: ..
Design.ME Puff.ME Volumizing Cloud MistThe first and original Puff.ME by Design.Me is a revolutionary spray powder that gives you lasting volume, hold and accuracy. Small bottle, big power. Just aim, shoot, and puff the volume of your hair with lasting hold for late nights and early mornings. Puff.ME gives you versatile control so you can create a messy, textured look or add another pump for ins..
Design.ME Puff.ME (5+1) KitDesign.ME special offer is here for a limited time only! 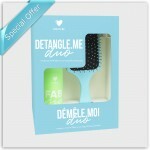 Puff up the volume - Buy 5 get 1 free.Size: 1 Pack..
Design.ME Detangling DuosDesign.ME special offer is here for a limited time only!Size: 1 PackIncludes: Fab.ME (230 ml) + Detangling Brush..
Design.ME Fab.MEFAB.ME's got you girl! This lightweight and leave-in daily defence complex protects against damage produced by styling tools (we love them but they can be intense) and environmental conditions. FAB.ME contains four fundamental defence elements: Split ends prevention Pro-Vitamin B5 and naturally derived protein goes deep, penetrating the hair cortex to strengthen and align hair ..
Design.ME Blowdry KitDesign.ME special offer is here for a limited time only! Size: 1 PackIncludes: 1 PowerDry.ME (230 ml) 1 Fab.ME (100 ml) 1 Round brush 5 rubberized jaw clips..
Design.ME Puff.ME Volumizing ShampooVolume enhancer - shines - hair colour lock! It can be used on all hairtypes, Age defying, Color safe. No residue, Sulfate free, salt free, paraben free, gluten free, no artificial colours.Size: 300 ml & 1 LFeatures & Benefits: Volume booster Body shine Heat protection Frizz control Detangling features Hair colour lockUsage Instructions: Apply to wet hair from ..
Design.ME Teasing CombThe fine two lengths' tooth provides proper tension while wrapping perms, texture products, or the distribution of hair color products into nape or side burn area.Features & Benefits: Lighter and stronger Heat resistant: up to 160° 100% static free Pintail - perfect for hairstyling, parting, back combing, post styling and hair coloring..
Design.ME Puff.ME Light Volumizing Cloud MistPump up your hair's volume. 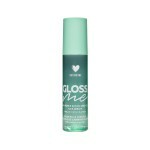 Size: 0.32 oz.Hair Type & Condition: For all hair types..
Design.ME Hold.METhis hairspray is no one-trick pony. Hold.ME is a unique adjustable hairspray that gives you three levels of support your lush locks will love. With just a little twist, you can modify the hold from light, medium and strong. Whatever control you choose, Hold.ME's long-lasting, flake-free formula will give you that shine, UV protection and volume you want for your gorgeous mane. 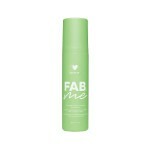 Al..
Design.ME Quickie.ME Dry Shampoo FoamNo matter the time of day, you'll be ready for a quickie! Our foam formula is perfect for everyday use to make your hair looking runway ready, 24/7 365. Formulated with unique rice starch formula, this daily foam conditioner cleanses, conditions, volumizes and detoxifies all hair types! 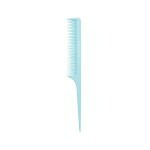 Size: 189 mlHair Type & Condition: For all hair types. Perfect for second,..
Design.ME Gloss.ME Cannabis Sativa Seed Oil Hair SerumIt's (high) time your hair got the shine it deserves, and we've got the goods. Gloss.ME is a unique formula of oils and proteins, rich in essential fatty acids and vitamins A, C and E that make your hair stronger, fuller and healthier. Our (not so) secret ingredient? Just the right amount of cannabis sativa seed oil added into the perfect blen..
Design.ME Puff & Refill Duo Pack (Light)Puff up the volume - volumizing powder. Purchase Puff.ME Light + one refillSize: 1 Pack..
Design.ME Puff & Refill Duo Pack (Regular)Puff up the volume - volumizing powder. Purchase Puff.ME + one refillSize: 1 Pack..
Design.ME Power Dry.ME Blowdry In A Flash MistPower Dry.ME is a lightweight micro-emulsion mist that forms a thin layer around hair fibers creating better cuticle alignment, better air flow, and less water entrapment. Size: 230 mlHair Type & Condition: For all hair typesFeatures & Benefits: Up to 50% faster dry time Frizz control Offers heat and UV Protection Smooth & conditions hairUsage Instruc..
Design.ME Puff.ME Volumizing ConditionerVolume enhancer - shines - hair colour lock! It can be used on all hairtypes, Age defying, Color safe. No residue, Sulfate free, salt free, paraben free, gluten free, no artificial colours.Size: 300 ml & 1 LFeatures & Benefits: Volume booster Body shine Heat protection Frizz control Detangling features Hair colour lockUsage Instructions: Apply to wet hair f..